Krista Sahlin is a wife of 11 years, married to her best friend & IT guy, Aaron. She is a mother to two wonderful and rambunctious kiddos, Sophia (9) and Gabe (7). Krista has scrapbooked since high school, and once she found digital, she never looked back. 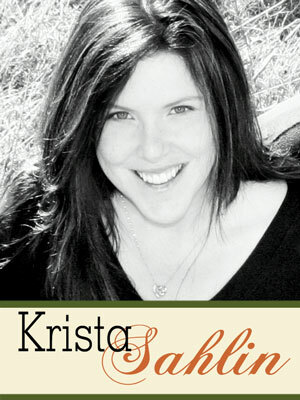 Krista is now her family’s avid memory keeper (or scrap addict), and has been blessed by being able to combine her love of digital scrapping with a career of designing scrapbooking products. Her digital scrapbook designs can be found at The Lilypad under Sahlin Studio. You can find lots of inspiration, digital scrapbooking freebies and tutorials on Krista’s blog: Sahlin Studio.